Size 6 - $128.99 Only 4 left! Size 8 - $128.99 Only 2 left! Size 10 - $128.99 Only 6 left! Size 12 - $128.99 Only 1 left! We're still currently trying to win over our bosses with the idea but until then we've got to do our best to liven up the holiday atmosphere in the office. 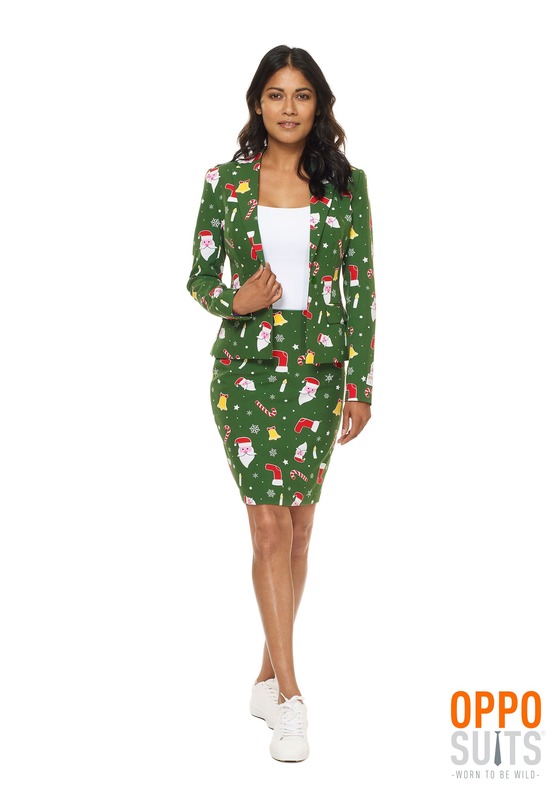 Thank goodness we came upon Opposuits while surfing the internet for items to put on our Christmas wishlist. 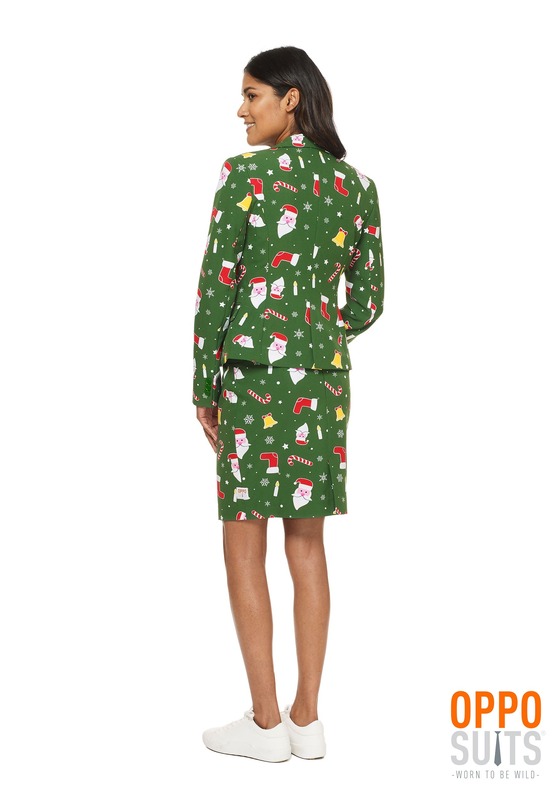 This line of festive suits will bring some fun to any workplace that may be suffering from a case of the bah-humbugs. Plus, there are suits for both men and women. The one pictured here is the Santa Babe suit. It features a single button suit jacket and a matching pencil skirt with a hidden back zipper. 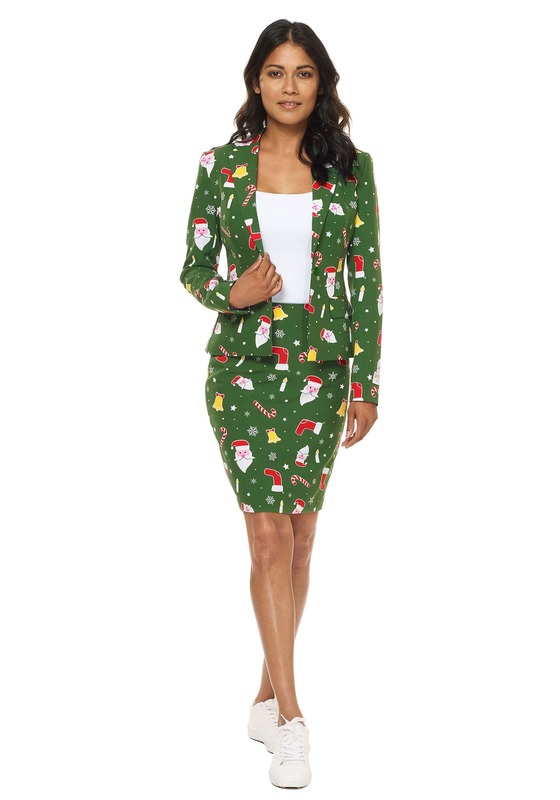 You may have to go to work most of the month, but at least you can look extremely snazzy (and jolly) while doing so!